Wilmington, DE – The team at Smile Solutions by Emmi Dental Associates has noticed an increased interest in implant dentistry. With the placement of artificial tooth roots, dental crowns, dental bridges, and dentures are supported with a remarkable degree of stability that is comparable to natural tooth roots. There is no need for denture creams or special dental adhesives either. Dr. Jeffrey J. Emmi and Dr. Laura Dougherty believe that dental implants can have a dramatic effect on the lives of patients and are committed to the finest in advanced care with implant dentistry. Dr. Emmi is a diplomat of the International Congress of Oral Implantologists (ICOI), which is the highest honor in that organization. With this in mind, the team at Smile Solutions by Emmi Dental Associates is pleased to announce special discounts for implant dentistry patients. A healthy, fully functional smile can be yours. First of all, prospective patients should know that any consultations regarding dental implants are free. This is a fine opportunity for patients to learn more about the treatment process and what it entails. Dr. Emmi will be more than happy to answer all questions and address all concerns as they arise. There is no pressure with regard to advanced treatment options or undergoing an involved dental care makeover. What matters most is that patients are well-informed and are able to make empowered decisions about their dental health. Smile Solutions by Emmi Dental Associates is currently offering a 10 percent discount on single implant restorations. This refers to individual dental crowns that cap dental. This is an ideal solution when a patient is missing a single tooth. Current patients and prospective patients should note that Smile Solutions by Emmi Dental Associates has a special patient referral program known as Care to Share. For every patient that you recommend to the practice, you will receive a credit of $25. This can add up quickly, and it's a sincere “thank you” from the team of Smile Solutions by Emmi Dental Associates for your confidence in the team and the work it performs. There is no single solution for patients who are missing a tooth or multiple teeth. 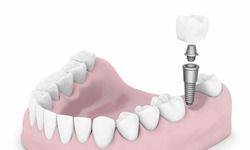 For instance, Prettau Zirconia Dental Implant Bridges might be great for one patient, but they may not be the best solution for another patient. With dental health, the best care is all about meeting individual needs. During the consultation process, Dr. Emmi, Dr. Dougherty, and Dr. Lanzilotti will customize your treatment specifically to your situation. That means no shortcuts and no automatic solutions. You will receive the team's full attention and your dental treatment will be fully tailored to you. Dr. Emmi and the team believe that your heath, wellness, and satisfaction is of the utmost importance.